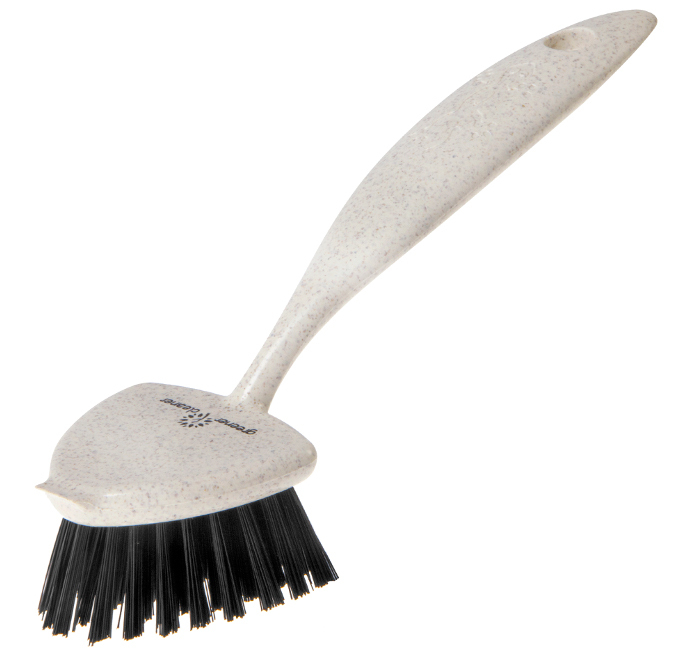 The Greener Cleaner high performance environmentally friendly Pot and Pan Brush with scraper is a great way to clean all types of pots, pans, dishes, glass, ceramic and plastics. The scraper is perfect for tough stuck or burnt on dirt. Made from 100% wood pulp and recycled plastic using eco-wood blend technology. 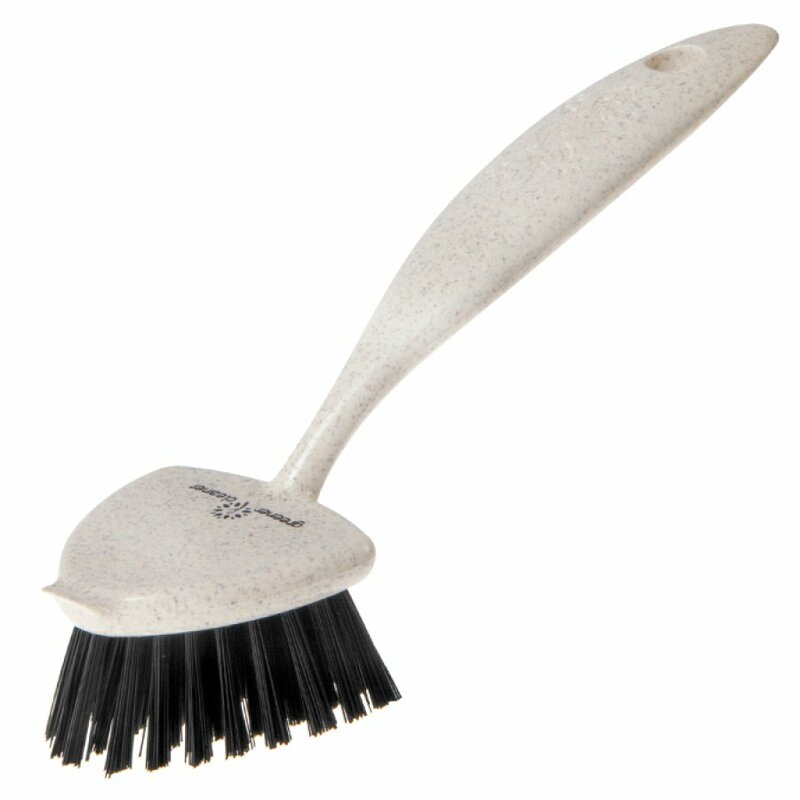 The brush also has a convenient hanging hole for storage and is dishwasher safe to 120°C. Bought one of these before. Works well and lasts a long time.